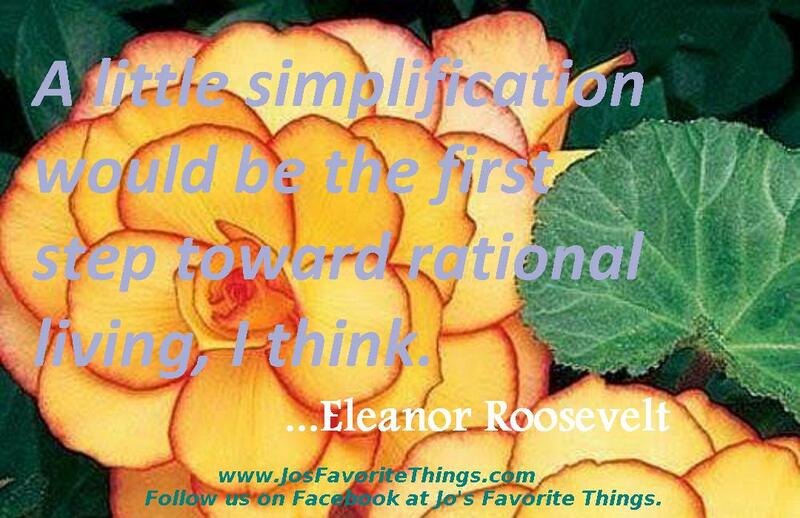 Jo's Favorite Things: Friday afternoon with Eleanor Roosevelt: Simplify! Friday afternoon with Eleanor Roosevelt: Simplify! ...would be the first step towards rational living, I think. Eleanor Roosevelt. Can you think of anything to simplify today? Follow us on Facebook at Jo's Favorite Things!